Today’s image is brought to you by Kodak. This was taken back in the day before we had a digital camera. The Boy was just four years old. He’s heading to middle school in seven short months…sniff…don’t get me STARTED!! Anyway, can you guess where this was taken? 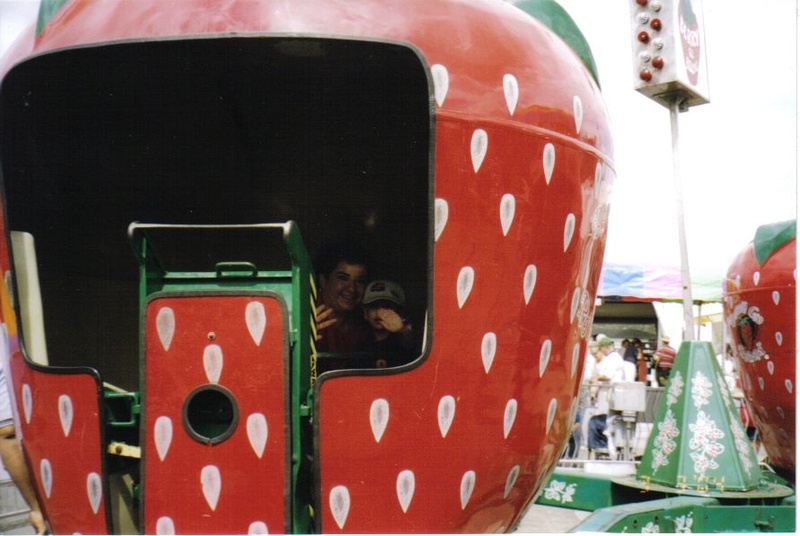 It’s a giant strawberry…which is the hint. This is a timely post relating to this fruity theme! ANSWER: We had a few people submit answers, but only Helen from 2 Weeks Paid had the right answer! She gave us a friendly tweet on Twitter.